Many argue that what the labourer's effort yields, under a modern capitalist econ­omy, is far greater than the same effort could yield in an egalitarian economy. But this is not true. Small entrepreneurial artisans are a rich source of ideas and inven­tions which cause technology to advance. They inject product variety into an econ­omy and improve the yield of human labour. But when such an invention or techn­ical advance is seen to be successful, in jumps the capitalist. He starts to produce it on a massive scale and takes over the entire market. Product variety collapses into a high-profit mono-product. Development stagnates. Creative invention and technological advancement is not facilitated by capitalism: but struggles along in spite of it. In an egalitarian society, technology advances fast­er and easier. This in turn increases the economic yield of human effort. Capitalism is far less the mother of invention than it is the father of stagnation. Man was once free to apply his labour to the ecosystem of his planet, which in return yielded all his needs of life in great abundance. Modern capitalism has placed a barrier between man and his planet. It is the capitalist economy. This stands bet­ween man and his planet's ecosystem like a giant economic valve siphoning off the greater part of the fruit of his labour. It leaves the labourer with very little of what his labour yields. In the United Kingdom in the late 1990s, the worker ends up with only 23% of the fruit of his own labour. The rest is siphoned off as corporate profit and confiscated by the State in the form of tax. The percentages vary from one national economy to another. Nevertheless, the ones shown above are a reasonable representation of the norm. In any case, precise figures are not important. What matters is the fact that the labourer ends up with very little of the bounteous wealth his planet's bio­sphere yields in response to his effort. Almost half of the fruit of his labour is siphoned off by his employer as corporate profit. The Elite Band of Men who own and control the resources of this planet effectively tax the dispossessed individual by keeping back a part of the wealth which results from his labour. This part which they keep back is called their profit. They then use this profit to fuel their business endeavours, their private needs and luxuries, and their political ends. The capitalist's profit is thus in effect a tax on the labourer's production. It is tax on his income - a form of income tax. In order to finance the collective agenda of its capitalist paymasters, the govern­ment of a capitalist State also taxes the productive effort of the dispossessed lab­ourer. This tax amounts to a further 14% on average which is confiscated by his employer on behalf of the State. It is termed 'direct tax' or 'tax on production', and is made up of two different kinds of tax, namely, Income Tax and National Insur­ance. Many human endeavours like government, education and religion produce no econ­omic yield. They are nevertheless vital to human life, relationships and well-being. It is therefore right that they be pursued. But they all need a source of economic benefit. This can only come from some form of taxation. The name 'Income Tax' implies that it is levied on what a person has received in return for his labour or by investing his capital. But it is not. For somebody in full-time employment, it effectively defaults to the same thing as tax on income. This is because the employee receives payment of his wages at the same time as the tax is deducted from what he 'earns' and forwarded to the Inland Revenue. This is a strictly controlled procedure with precise timing. For the self-employed, however, the process is not so fairly expedited. When I invoiced a client for work I had done for him, I had, by so doing, informed him that he owed me the money for doing the job. The invoice, in effect, indicated that I had earned the money. It did not imply that I had received it. My stack of invoices for the year were thus a record of my earnings for that year, not my income. Nevertheless, my so-called income tax was computed from the invoices, not the credits on my bank statements. The tax I actually had to pay was thus the tax calculated on the full amount of my earnings: not my actual received income. Practically all my invoices were paid very late. A large proportion of them were never paid at all. This meant that the actual tax I had to pay to the Inland Revenue could leave me easily with far too little to live on. This actually happened. My in­come for 1977, as shown on my income chart, was my invoiced earnings. What I actually received was far less. This taught me a very painful lesson. The DSS takes one's income as being that computed the way the Inland Revenue does it - namely the value of issued invoices. You will get no State welfare if earn­ings are above the benefit threshold: irrespective of your actual income. I could reclaim tax I had paid on invoices which ended up as bad debts. But for this to happen, I had to be able to prove they were genuine bad debts. This required either that the client had gone bust or that I had lost a legal action against them in attempting to recover the money. Clients rarely went bust, and legal actions of debt recovery were very expensive and uncertain. I could not risk them. In any case, I would not have received the rebate until about two years after the event, meaning I would have to find that actual amount of money to (effectively) lend to the Inland Revenue for the duration. When one is threatened with destitution by bad law, it is time to become creative. I did. It is utterly reprehensible for any State to tax any individual on any money other than that which he has already received. Income Tax in name should be Income Tax in deed. The present structure of income tax dates back to an era when government rightly thought that the rich should be taxed at a higher rate than the poor. But instead of applying a natural exponent to the tax rate to create a smooth increase with in­come, they cack-handedly divide the tax into bands, each with a different rate. The exponential method is natural and perfectly fair. But governments are con­vinced that ordinary people are too stupid to understand it. The banded system is only fair at the band boundaries. Furthermore, because the confusing labyrinth of 'benefits' have different rates and band breaks, millions of individuals end up in tax traps - false 'third order' tax minima in which it becomes actually disadvant­ageous to 'earn' more - or even have an earned income at all. A rationalised exponent based tax system would not have any such problematical anomalies. Computer software takes great effort over a long time to develop and perfect before it can be released for sale. The development cycle of a single package can span far more than a year. Sometimes it can take two or three years. If, at the end of its development, it is sold to a distributor, all the revenue for that package arrives as income in a single transaction. Tax on that income is payable as if it were the income corresponding to the single year in which the invoice was struck. I am therefore taxed at a very high rate for the year in which it was sold, and I do not even achieve my tax-free allowances in the other years in which I was developing it. I am super-taxed in one year and not taxed at all in others. This results in my being taxed over the two or three years on average at a much higher rate than if I had 'earned' the money uniformly over those years. In reality, however, the income was 'earned' over the years I was actually develop­ing the software. That's when I did the work. To be taxed fairly, along with people whose income is steady, what I received for my software should have been equally divided between the years I was working on it. Then my tax should have been work­ed out separately for each of those years. It appears that farmers and writers can have their incomes thus spread over several years. And for this very reason. But, my accountant told me, it is only allowed for certain named occupations. Software developers are (or at least were at the time) not one of those. This is unfairness caused solely by badly formed legislation. The essence of it surely should be that anybody with an erratic income cycle should be able to have their incomes amortised over several years. Legislators should not try to second-guess which occupations (present and future) are specifically subject to erratic income cycles. Even the natural exponential formula for taxing income ceases to treat everybody fairly in the presence of income whose cycles span more than a single year. One who has seven years of plenty followed by seven years of famine would, even under exponential taxation, be taxed far more severely than another who had the same total income arriving evenly over the 14 years. The only universally fair formula for taxation is a linear percentage levied on the whole of one's income (from the ground up) each year. One may immediately cite, as the prime and most ancient example of a straight­forward percentage tax on income, the tithe of the land as implemented in Ancient Israel. But one would be wrong. The tithe was fundamentally different from modern income tax. In the modern capitalist State, the only vaguely similar form of tax on economic yield is the tax levied on corporate profit. Even that is not strictly the same. Corporate profit is the yield generated by an artificial market: not by a natur­al biospheric process. Income tax is a tax on the yield of one's own human labour - one's effort. The tithe was not. The ancient tithe was a tax on the economic yield of nature: not on the economic yield of human labour. This yield depended on the fecundity of plants and animals and on other factors in the natural operation of the Earth's biosphere. It had nothing to do with the quantity or quality of the human effort of those who reaped and gathered it. It was a tenth of net increase in consumable wealth generated by the bit of the Earth's biosphere contained within the estate of each economically active house­hold. It is the only completely fair and equitable form of tax. Every employee has to pay it. It is deducted from his wage or salary at source. Part of it is purported to insure him against sickness and injury. Part of it is purported to accumulate as his State pension. It does neither, and is not what most people would understand by the term 'insurance'. National Insurance has been in effect all my working life. My first experience of its rank unfairness was when I was a student. I took what work there was delivering grocery orders in a van for my local co-op during the summer holidays. Sometimes I would get a full week's work, but mostly it was filling in weekend rounds. Although I was offered a good rate of pay for a Saturday or a Sunday round, I ended up receiving hardly anything. This was because of the National Insurance rules. They required my employer to deduct from my pay a whole week's National Insurance contribution, even though I had only worked for one day that week. This amounted to about 70% of my gross pay. Despite this absolutely criminal rip-off, I had no insurance cover whatever. This was because I had not paid 'enough' contributions. I shall explain this in a minute. I gave up the work much to the disappointment of the co-op manager. The amount of money I actually received after a hard weekend round was simply not worth it. After leaving college I went to work at the research establishment of a major utility. After I had been there for 6 months, I fell ill with glandular fever. Naturally, National Insurance had started to deduct contributions from the day I started my job. On applying for sickness benefit, National Insurance refused. They would pay me no­thing. Their reason was that I "had not paid enough contributions". If my landlady had not put me up for that time free of charge and cared for me by changing my bed every hour, I would have been destitute as well as ill. If I take out an insurance on my car or my house, pay my first premium and then have an accident or a fire a week later, then I am covered by the insurance. The insurance company does not write to me saying that my insurance is not yet in effect because I "have not paid enough contributions". The National Insurance system is the reluctant condescension, by a capitalist State, to humour what it sees as the impudent demands of working people. It bears the spirit of its masters. It cares not for the individual. It cares only to fulfil, to the mini­mum degree, its obligations under the relevant Act of a capitalist puppet Parlia­ment. The attitude of the National Insurance system towards individual employees is that of the capitalist. This attitude was well illustrated to me two years later when I was working as a programmer for a manufacturer of flight simulators. My work and my home were located close to a major airport. The locality was low-lying and naturally prone to fog. Mixed with an unceasing supply of jet exhaust, it formed a sickly yel­low green soup. It quickly exacerbated the slightest cough into lung-stabbing pneu­monia. My wife was ill in hospital. I was living alone in our cottage in the country. One dark night, after finishing a late 4pm to midnight shift, it got me. The yellow green slime invaded my lungs and I went down with what I understand from the symptoms must have been double pneumonia. I was too ill to get out of bed. Needles were piercing my throat. My lungs were being crushed between two beds of sharp nails. I was sweating. I could not bear to breathe the outside air in my bedroom. I had to keep my nose under the covers. We had no telephone. I had no means of telling the out­side world. I just had to stay there until I gradually emerged from it two weeks later. I had eaten very little. I had lost sense of time. I could not eat much, but I ate enough to get my strength back. I switched on my radio and discovered how long I had been ill. I was desperate to get back to work and to visit my wife in hospital. When I got back to work they told me I had been fired. They said that I had failed to turn up for work for two weeks and had also failed to give a reason for my absence during that time. I tried to explain to them, but my explanations were 'unaccep­table'. Luckily, I passed the director of the project I was working on. He did not ask where I had been. He told me to get straight down to the shop floor and finish test­ing my software. The project was running late and was in imminent danger of drop­ping from planned 'profit' to 'cost-plus' status. I told him I had been sacked. He rush­ed to the personnel department. A few minutes later I had been reinstated. I went to a doctor that evening. He examined me. He said there was nothing wrong with me. He said he could not issue a retrospective certificate. I had no doctor's certificate of illness. I could provide no 'acceptable evidence' that I had been ill. So, though I had been reinstated, the company would not pay me any sick pay for the fortnight I had been ill. National Insurance would pay me nothing either. I had lost two weeks wages (at shift rates), and I still had the mortgage and everything else to pay. My wife's hospital was 80 miles away. I could not afford to visit her. It should be noticed that the company's instant and exclusive response to my ab­sence was that I had committed the misdemeanour of skiving - of being absent from work without permission. It was concerned with its potential loss of profit. It did not deem it necessary to substantiate this assumption by sending somebody round to see if I were all right. It was not concerned in the slightest with the well-being of the individual. Likewise with National Insurance. The absence of two weeks' contributions did not trigger an enquiry as to my well-being. It merely reported at that end of the tax year that I was two contributions short for the year, and that if my 'cover' were to remain intact, I would have to pay them. It shows its capitalist spirit by using the omnipotent power of its mandate to take, take, take; while only giving anything back when, by all endeavour, it can find no bureaucratic instrument by which to wriggle out of having to do so. I was ill for three months in 1985 with serious flu. I was too ill to travel to the doc­tor's surgery. Unlike in the past, doctors no longer make house calls for any but the very young and the very old. Being self-employed and working at home at the time, if I were well enough to go all the way to the doctor's surgery in the freezing cold, then I was certainly well enough to work. The upshot was, of course, that I did not get any national insurance sick pay then either. National Insurance is not insurance. To call it insurance is a misrepresentation of what it is. If you are well enough to travel to, and queue for ages in, a doctor's sur­gery then it will provide sick pay when you don't really need it. If you are too des­perately ill to go and see a doctor then it will pay you nothing. Even then, it does not necessarily provide immediate cover. Cover only kicks in after you have been pay­ing premiums for many months. That is not what most people would understand by 'insurance'. It is also purported to be setting aside a large part of what you pay, for your retire­ment in the form of a State pension. But that is not where your money actually goes. It goes to pay the pensions of those who are retired while you are working. You are paying their pensions: not yours. The government has already spent the money they paid in during their working lives. It is a con which only something as omnipotent as the State could get away with. On what moral grounds was I forced month after month to pay these so-called National Insurance contributions? I have only ever received sick pay from National Insurance on a couple of occasions when the doctor signed me off when I was perfectly able and willing to return to work. What is in it for me? What is in it for the individual? The plain truth is that National Insurance is in reality simply another form of income tax. From any practical point of view it could be replaced by a simple increase in the rate of income tax. This way it would be simpler and cheaper to administrate. As it stands, though, it is of great political advantage to the State in that it hides just how much direct tax the generic individual is actually being made to pay. Both corporate profit and State income tax are a function of the wealth which the planet's ecosystem gives in response to the labour of the dispossessed individual. As the labourer toils, the Earth yields its wealth. As the Earth yields its wealth, his employer receives it and keeps part of it for profit, pays another part to the State as the labourer's income tax, and passes on to the labourer the little that remains. If the labourer receives no income, then no corporate profit or State income tax is taken from him. Corporate profit and State income tax may be austere in their magnitudes, but they do not presume to take when nothing is received. But there are far more insidious forms of tax levied within the capitalist State which do take where nothing is received. Every human being is a biological life-form. It must consume in order to sustain its life processes. It must consume not only food, but also whatever else is required to keep it clothed and sheltered and to meet its social and emotional needs. If it can­not consume, it will surely die. For it to live, these needs must be supplied. Tax on consumption is levied on the assumption that every individual will always be in possession or receipt of sufficient means to acquire his needs. This assumes that the profit, income tax and social security mechanisms will always leave the indiv­idual with enough to pay for his needs plus the consumption tax levied upon them. However, since these diverse mechanisms operate independently, the way their un­coordinated actions will affect a particular individual cannot be predicted. This is therefore a very dangerous and irresponsible assumption for any government to make. Notwithstanding, a further 14% on average is taken through what is termed 'indirect taxation' or 'tax on consumption'. In some parts of the world it is known as 'tax on sales' or 'sales tax'. This is charged on what he buys - his needs. Within the Euro­pean Union, this is for the most part the universal value-added tax [VAT or TVA]. However, in the United Kingdom, other indirect taxes (such as fuel tax, car tax, excise duty) are levied on certain things before the VAT is calculated. Confiscating a small proportion of all that is produced leaves the production process intact and sustainable. Confiscating a small proportion of all that is consumed re­duces what the poor are able to buy, thus, in effect, making them even poorer. Historically, the capitalist State extracted revenue from the ordinary person mainly by taxing his income (or earnings). The government required his employer to sub­tract the tax before paying the employee his wages. The whole of what the emp­loyee earned (what is officially called his gross income) thus never actually passed through his hands. The tax portion of it was passed straight to the government by his employer. The part he actually received was called his net income. This he could spend as he wished. However, the burden of tax is now gradually being steered away from the producer (or earner) towards the consumer (or spender). Tax on income or production is gradually being phased out. It is being replaced by a tax on consumption. Before, the producer or earner received only part of what he actually earned, the other part being deducted at source as tax. After, the producer or earner will receive all that he earns. He will not be taxed until he spends it. Then he is only charged tax on what he spends. With income tax, government gets its slice of the money as soon as it is earned, and can therefore put it to immediate use. With consumption tax, government gets its slice only when (and indeed if) it is spent. This stems from the capitalist's sacred philosophy of the virtuous earner who deserves to keep the bounteous fruits of his 'hard work' in full to spend or invest as, when and how he himself (not the gover­nment) sees fit. The hope is that the capitalist-minded individual will spend - and pay tax on - what is necessary to procure his needs and luxuries of life, then invest the untaxed remain­der of his earnings in the national economy by purchasing corporate shares. The great flaw in this philosophy is that a high earner could hoard most of his earn­ings 'under his mattress' indefinitely, thus effectively removing them from the econ­omy untaxed. Statistically, one may surmise, this would not be a problem. Hoarders would be a minority. However, in this world of instant global communication, people are starting to behave less like a vast sea of independent thinkers and much more like a giant flock of nervous sheep. The 'word on the wire' can now transmute arm­ies of risk-taking investors into over-cautious hoarders in minutes. The human is not an inherently self-sustaining life form. To stay alive, it must con­sume its needs. It must consume sufficient water, food and clothing. In a sense, it must consume shelter also - or at least, the service of being sheltered. If it ceases to consume, it dies. If it is deprived of sufficient of its needs, its life is shortened. It cannot produce its own needs. They can only be generated by the planet's bio­sphere. To acquire them, it simply has to gather the fruits of the Earth. It may also have to protect them and work them into more useful forms. This is the essence of the economic process. By the laws of biology, all are forced to consume the fruits of the Earth to stay alive. By the laws of the capitalist State, however, not all are allowed to gather them. One is only allowed to gather the fruits of the Earth by the leave of he who owns the Earth. Namely the capitalist. The capitalist acquires his needs of life by requiring of each to whom he grants leave to gather from his domain, a proportion of all that each gathers. For this, the capitalist does not need everybody to gather. He can acquire sufficient by having less than all to gather the fruits of his Earth. This leaves many barred from acquiring their own needs of life. Their lives can therefore be sustained only by receiving welfare from the State. What they receive is generally known as benefit or welfare. Its magnitude is always set to the very minimum a bunch of well-paid government economists and actuaries compute that the poor "need" to live on. The proportion of the fruits of the Earth which the capi­talist system affords to different individuals thus varies arbitrarily by many orders of magnitude. The human frame, on the other hand, rarely varies in size by more than a factor of two. Hence, rarely do its vital needs. Thus, what a man 'needs to live on' is indep­endent of his wealth and income. Consequently, a tax on consumption taxes the poor man on his needs of life exactly the same amount as it taxes the rich man. It is true that some basics, such as unprocessed foods and children's shoes, are free of consumption tax in certain States. However, they are not in others. As all States gravitate towards inevitable tax harmony, will tax on the basics of life be repealed in those States in which it is already in force, or will it be enacted in those States where currently it is not? The individual has no protection against the enactment of irresponsible tax law. So idiot legislators could easily levy a tax on pre-packaged or pre-processed foods, on the blind assumption that the poor can always stick to loose-sold basic food. But this is a false assumption. I live in a very expensive up-market commuter area. It be­came thus long after I moved there. Being long-term unemployed, I cannot afford to move out. Besides, I know of nowhere I could move to. As a result, my local supermarket caters for its rich majority clientèle. This is making it ever more diffi­cult to find cheap unenhanced basics. Tax on consumption in the past was implemented as simply a tax on purchases. It was called purchase tax. In some countries it was called sales tax. Functionally, it amounts to much the same thing, although strictly it is the purchaser rather than the seller who, in the big economic picture, is always the one being taxed. The problem with purchase tax is that it is very difficult to police. Firstly, this is be­cause it is all collected at the retail point of sale. Thus if an end consumer buys directly from a wholesaler, he could easily get away with not paying purchase tax. The same is true if a do-it-yourself enthusiast buys raw materials or components and assembles them himself. Secondly, the only 'policeman' involved is the tax in­spector. And, since the tax is levied on every retail transaction in every retail outlet in all the nation, he has too much ground to cover ever to be effective. The problem was solved by changing from purchase tax to Value-Added Tax. VAT is levied every time a good or service is exchanged for money. This occurs at every stage of its manufacture and distribution as illustrated below. When a producer sells goods to a distributor, the distributor has to pay the pro­ducer's net selling price for the goods + an extra 17½% VAT. The distributor has to pay both the net selling price + the VAT directly to the producer. The producer then passes the VAT on to the government's department of Customs & Excise. When a consumer buys the goods from the distributor, he has to pay the distri­butor's (marked up) selling price + 17½% of that (higher) selling price in VAT. The consumer pays both the selling price and the VAT to the distributor. The distributor then passes the VAT on to the government's department of Customs & Excise. However, before doing so, the distributor is allowed to deduct the VAT he paid to the producer. He only returns the difference to the Customs & Excise department. The result is that the producer and the distributor do not, in effect, get taxed. Only the consumer ends up being taxed. It all seems to be nothing other than a very complicated way of implementing purchase tax. However, if the consumer is pre­pared to travel the 200km or so to the producer's factory, he could (in a hypo­thetical free market) bypass the distributor. With VAT, though, he still gets taxed at 17½% of the value of what he buys. He cannot escape. There can be many intermediate stages in the trading chain in place of the distri­butor stage shown above. For instance, several manufacturers may be involved, some making components, some making sub-assemblies, some making finished goods. There may also be wholesale and retail distribution stages. All intermediate participants in the chain charge VAT to their customers, pay VAT to their suppliers, passing on the difference to the government's department of Customs & Excise. The VAT system is effective because it forces every­one to become his neighbour's tax collector as illust­rated on the right. The government press-gangs Peter into becoming its unpaid tax collector to collect Paul's tax. If Paul does not pay the tax, then Peter is held responsible. He will have to pay the government and then try to recover this amount from Paul by due process of law, which Peter must finance and if necessary bear the loss. Again, the government press-gangs Paul to become its unpaid tax collector to collect Mary's tax. If Mary does not pay the tax, then Paul is held responsible. He will have to pay the government and then try to recover the tax from Mary by due process of law, which Paul must finance and if necessary bear the loss. This must save the government's Customs & Excise department a lot of leg work. It must also drastically reduce the cost of administration compared with a conven­tional purchase tax. Nevertheless, it's a rather nasty and insidious little set-up, don't you think? During the formative years of my business, the VAT laws were a lot harsher than they are now. I would do a good job for a client. I would invoice the client for my work. The client would not pay. I would send a summons. The client still would not pay. The end of the VAT quarter would come. I had to pay to the government the VAT levied on my work. Still the client would not pay. I take the legal proceedings further. Still the client would not pay. The final upshot was that I did a good job for my client, and, short of getting any reward whatsoever for my efforts, I actually ended up paying his VAT as well, plus the abortive legal costs of trying to get the money out of him. There are ways of recovering the VAT if the client goes bust or if it can be proved that I should grant my client a genuine credit against what I originally charged. However, there is no compensation where a large corporate client simply does not want to pay because the financial director has decided to take the advice of a certain ex cabinet minister and invoke the 'perfectly legitimate ploy' of improving his cash-flow by withholding payment from small suppliers - indefinitely. This was for me not just one single incident. It was a real and present threat which all to often became a reality. Some years later, the VAT rules were changed to require very small turnover busi­ness to return excess VAT only after they had actually received it from the client. However, though this change was in effect an admission by the law makers that they had made a bad law, no compensation was made retrospectively for the ir­reparable damage the old rules had caused to people like me. To be able to charge and return VAT, you have to be registered. Registration is only mandatory, however, if your turnover is above a prescribed threshold. Neverthe­less, though your turnover be below this level, it can be an unbearable disadvantage to be unregistered. If you are unregistered, you have to pay VAT on all your supplies and overheads and, unlike your larger competitors, you cannot claim it back. You pay 17½% more for all your supplies and overheads than they do. This squeezes your profit. Further­more, if you buy some equipment like a computer from a VAT-registered supplier for resale to a VAT-registered client as part of an IT solution, you cannot even pass on your supplier's VAT charge to your client. You either load the VAT your supplier charged into the net price you re-sell it to your client for, or you stand the 17½% loss yourself. But all things considered, you cannot trade unregistered and be competitive. There­fore, no matter how small a business you have, you have no choice but to endure the risk of ruination at the hands of Draconian VAT rules. Even if you are registered and your clients always pay you, VAT is still unfair to those least able to bear it. Like everything else in the capitalist State, VAT rules always favour the rich and corporate. A good case in point is VAT on petrol. Customers and prospective customers did not beat a path to my door pleading with me to do work for them. I had to go out to see them. My car was the only way I could actually get to see my clients. As a registered person, I claimed back the VAT on part of what I spent on petrol for my car. This part was the mileage I covered visiting clients divided by the total mileage done by my car. This worked fairly until the rules changed. A VAT notice came through that VAT on petrol was only reclaimable above a certain amount. This varied according to the size of the car. It was based on what govern­ment accountants supposed to be the average person's private mileage. As it hap­pened, this 'certain amount' was double what I spent in total for my combined busi­ness and private mileage. Theoretically I was clocking up quite a sizeable negative business mileage every quarter in all the not-travelling I did in visiting my clients. The upshot was that, unlike my larger competitors, I was not allowed to re-claim VAT on any of the use of my car. When I complained to the VAT inspector about the unfairness, his reply was that "Well there are always winners and losers." Again, default in favour of the rich and powerful. The losers always seem to be the same people - the small and the poor. Tax on consumption penalises the poor. It leaves those dependent on State welfare especially vulnerable. State 'benefit' levels are very bare boned finely-tuned quant­ities. Their relationship with VAT is an astronomically complex dynamic. The linear equations and economic vectors of government economists cannot possibly model it with sufficient accuracy to guarantee the economic protection of every benefit-dependent individual in every possible circumstance. An altogether different appr­oach is needed. Tax on consumption is a very unfair and dangerous form of taxation which rewards the rich, frustrates those in the middle and stifles the poor. Somewhere buried within the 14% tax on consumption is a tax that is levied on the labourer's home. This has gone under various names from time to time such as 'rates', 'community charge' and 'council tax' according to the political expedience of the time. It is, in effect, a tax on one of the most fundamental human needs, name­ly, shelter. In the UK this tax was formerly known as the rates. During the 1990s it was re­named (and in some obscure way supposedly changed). It is now known as council tax. But a rose by any other name smells just as sweet. It still requires the individual to pay money at an increasing rate every year for the privilege of having a house to live in. It is still house tax. There was a short period in the early 1990s when property tax was replaced by a poll tax. It was called community charge and was, in effect, a tax each adult in the country was required to pay for the privilege of being allowed to exist. This must have ranked as one of the most reprehensible forms of taxation ever devised by the sick minds of capitalist politicians. Shelter is one of the basic human needs. The capitalist State taxes this basic need in a way that bears no relation to its occupant's income. Idiot rules mean that insuff­icient income does not automatically exempt him from it, leaving him ever open to the spectre of permanent debt and homelessness. A State frequently levies tax on the goods and services bought by those who live within its jurisdiction. Some States even levy tax on basics like food and clothing. However, such taxes are levied once only at the time of purchase. I do not have to go on paying tax at a certain rate per week, per month or per year on the food I buy for as long as I keep it stored in my home. I am not evicted out of my clothes if I find myself unable to pay a weekly Clothing Possession tax, then find myself arrested for indecent exposure. If I buy a piece of furniture, I do not have to pay a regular monthly tax on it for as long as I continue to possess it. I own the food I buy. I own the clothes I buy. I own the furniture I buy. I own the ap­pliances I buy [except, in the case of the UK, for any device that may be construed by law to be capable of receiving a television programme]. But, it seems, I do not own the house I buy - at least, not fully. When I buy a house - even when I have paid off completely any mortgage I may have had on it - I still do not really own it. It is still not completely mine. It appears that the State has the right to charge me for the privilege of owning and living in my own house. Furthermore, the amount of money I have to pay for this privilege is decided en­tirely by the servants of the State. I have no say at all in the matter. And if I do not - or cannot - pay this tax, my possessions may be confiscated, I may be arrested and imprisoned, or I may even be cast out of my own home. Though shelter be a basic human need without which one cannot survive, I am never actually allowed to own it absolutely. I will remain free, to live in the home I have bought and paid for, only for as long as I continue regularly to pay the full amount of the protection money demanded by the local "Mafia". In the modern capitalist State, ownership, where one's house is concerned, is a highly subjective term. Each month, I have to pay an amount of money to the local authority for the privi­lege of living in my own home which I have fully bought and paid for. The amount I have to pay each month is a direct proportion of what is called the rateable value of my house. This rateable value is the amount of money for which I supposedly could have rent­ed out my house to a tenant during the particular year in the past which was sel­ected by the government as the universal temporal datum. I don't know which year it was. It isn't particularly relevant. The amount of this wholly hypothetical rent is based on an evaluation of the geo­graphic location and setting of my house as well as the size and quality of the building itself. It was an arbitrary figure guessed at by government operatives who never even came to see the house, but who made their judgements by looking at maps and plans. It hardly merits a stamp of engineering exactitude. The constant of proportionality by which the rateable value of one's house is multi­plied to determine the monthly tax payments is adjusted each year to move up­wards in order to keep pace with its rising market value. And herein lies the root of its unfairness. This is what makes it dangerous. Market value is determined by factors which are nothing to do with the house owner's income or his ability to pay this tax. It is determined entirely by forces over which he has absolutely no control or influence. The size and quality of the building and the plot on which it is built. The facilities and infrastructure available within its local hinterland. The first was, for the most part, determined by its location and how much I could afford to pay for it. This in turn was determined largely by my income at the time. The second is determined by external economic forces and influences over which I have no control or influence whatsoever. When I made the commitment to buy my house in 1972, it cost £8,600. It was loc­ated in a fairly small town with open fields beyond. Since then, the town has ex­panded and gained a fast electrified rail service to London. In consequence, it has been invaded by hoards of well-off nouveau-riche yuppies who use it essentially as a dormitory. Thus my house has become surrounded by a vast estate of high quality commuter homes. As a result, the market value of my house has been driven upwards in real terms to a level far beyond what it was when I bought it. Decades ago, when it was the norm for a man to go out to work and his wife to stay at home, the whole economy was geared to the single-income family. Market forces kept prices just affordable. Families just managed to survive. The price of houses was capped by what could be paid into a mortgage from a single income. Now it is the norm for women to go out to work; to have a job or a career. Everyone thought this would make families better off. But market forces simply drove up prices to soak up the family's extra spending power. The wife's income became de­posited as extra profit into the laps of the favoured few, leaving the family still barely able to make ends meet. This was perhaps most notoriously manifested in house prices. The market value of houses drifted upwards until they absorbed the extra which could be paid from their double income. This has had the effect of driving up the market value of my house even further and faster. Thus it is generally impossible nowadays for a young couple to buy a house unless they both stay at work for quite a number of their formative years of marriage. There is also strong social and peer pressure for young mothers to get back to work as quickly as possible after having their children. My local Training & Enterprise Council has taken on some sort of self-appointed mission to encourage women back to work as soon as possible after having children. As a result, children are farmed out and bussed around to support this work-style. Parenthood now seems to have been passed, like everything else, into the commer­cial sector. The material rewards of double income families certainly have a super­ficial attractiveness, but the family itself has thereby become a sociological non-entity. However they are not the ones with a problem - at least not an economic one. The losers in this retrograde step in socio-economic development are the families where only one marriage partner is able to work. How are they supposed to fare in a market geared to a double-income norm? If one partner of a double-income marriage loses their job - so what? They have to scale down a bit. But what if the sole capable breadwinner of a family becomes unemployed as in my case? Of course! I should have remembered! You give us State welfare! What on earth are we complaining about? After all, it's almost a sixth of what Mr & Mrs (double-income) Average get and almost a twelfth of what an average professional couple get! What the double-income norm achieves is even greater economic disparity in soci­ety. I think with the current emaciating plague of unemployment in this country, any active attempt to encourage women back to work, who do not need to, and other­wise would not bother, is a criminal act of economic violence against families with no employed breadwinner. Don't get me wrong. I am not being sexist. I do not care whether the main bread­winner is the husband or the wife. What I object to is making it so that some families can have two bread winners while others can have none. In these very austere times I think as an act of emergency, there should be a limit of one breadwinner per family. The economy simply cannot support two! The effect of this 'double whammy' in the rise in its market value, has been to drive up exponentially the tax which the local authority levies on my house. Thus, be­cause of circumstances beyond my control, I now have to pay vastly more house tax irrespective of whether my income has risen or fallen. Even if my income had remained the same, I would, by circumstances beyond my control, be involuntarily rendered far less able to afford this tax than I was when I originally committed myself to buying my house. What extra benefits have I gained in return for this vast increase in the tax levied on my house? It is still the same house. It provides exactly the same facilities and benefits to my family as it did before. Its intrinsic value has not increased at all. I still receive exactly the same services from the local authority. Their quality is still the same. The sizes of their operations have increased. That is because they now have a vastly increased population to serve. But this has by default provided them with a vastly increased number of homes, all contributing house tax. Economy of scale, one would think, should therefore enable them to reduce the tax on each house: not increase it. The conclusion is that I have gained absolutely nothing in return for the vast in­crease in the tax levied on my house. In fact, I have lost. There were once open fields beyond the end of our road. We used to gain enorm­ous benefit from long walks in the open country. It was soothing to the mind and a comfort to the spirit. Since then we have also suffered the invasion of an army of nerve-driven car-speeding commuters into our once-peaceful locality. Now we are surrounded on all sides by literally hundreds of hectares of tightly crammed well appointed brick-built commuter kennels. Picking one's way to nowhere through the bland uniformity of their geometric streets as their inmates peer suspiciously at us from behind their net curtains is a torture to the mind and depressing to the spirit. Our local environment has thus been severely degraded. This has precipitated a real and present deterioration in our quality of life. My local authority has invested my house tax money well. They have apparently spent large amounts of it providing an environment to attract 'inward investment'. As a result, the local economy is supposed to have expanded enormously. Yet it has contributed nothing to my income from which I am expected to pay all this extra tax. In fact it has reduced my income. The influx of new people has meant that all local jobs have been devoured by these younger immigrants to the locality. And any market share I could hope to capture with a business has been conquered already by proprietors with the capital to hold onto it. This is probably why I have been un­employed for 10 years. When the 'rates' were first introduced I suspect that they were just a small sub­scription which every member of the community could be reasonably expected to pay as a way of 'pitching in' to meet costs relating to the local community as a whole. When I first got married, I received a rates bill every 6 months. Its size was never any concern. I simply wrote out the cheque, sent it off, and thought nothing more of it. At that time, rates were insignificantly small compared with an average person's income. This is doubtlessly why the originators of the rating system thought that the fact that rates were unrelated to the householder's income would never cause a problem. Over the 25 years that followed, however, the rates steadily consumed more and more of my income. By the mid-1980s, they became my overwhelming cause of nocturnal sleeplessness. Establishing that the householder has sufficient income with which to pay his house tax has never been a prerequisite for charging it. Proof that a household does not have sufficient income from which to pay house tax has always been the burden of the tax-payer, rather than proof that the household does have sufficient income to be able to pay house tax being the burden of the tax-charger. As a result, house tax, as currently implemented, has become a grossly unfair and disparitous form of taxation. Because of this, government has condescended to provide what it thinks is a safeguard to the individual against being taxed beyond what his income can stand. This safeguard has at different times gone under the names such as rates rebate, council tax benefit, and community charge benefit. It is simply a graduated re­duction in the amount of house tax you have to pay according to how far your household's total income and savings are below certain prescribed thresholds. However, being factually eligible for a reduction in the amount of house tax you have to pay, and being able to provide acceptable evidence of that eligibility, are two different things. The latter is subject to the whimsical interpretation of over-simplistic rules by low grade bureaucrats to whom the matter is one of professional disconnectedness: not one of potential hardship, homelessness, destitution and starvation. Simple blind rules cannot possibly model the vast range of events and circumst­ances which affect a particular individual. Nor can the idiot tick-box forms used to assess those events and circumstances, convey to the agents of the State the necessary and sufficient details of their impact upon that individual. The individual is therefore left vulnerable to inadvertent ruin by the uncoordinated interpretations of rules by separate and disconnected government agencies. Having been officially unemployed for over 10 years, I am exempt from having to pay council tax. However, there was a time in the early years of my business when this was not so. My income at the time was far below the threshold at which one supposedly should not have to pay any house tax. Nevertheless, because the idiot rules by which assessments were then made were unfit for their purpose, I was forced to pay the full amount. There was no way to avoid it. After all, I cannot simply shave 20% off my house to reduce my rates by 20%. My only option is to sell my house and move to a cheaper one. But this incurs dispro­portionately large transfer costs which consume even more of the original capital. And there are yet other losses which are not represented by monetary quantities such as the disruption to family routines within the household and the trauma of changing schools. Nevertheless, I was almost forced to sell my home. I was nearly dispossessed of what I already 'owned' and had spent years paying for with money on which I had already paid income tax. My family were not only living in extreme financial hard­ship, but also under the constant threat of a visit from the bailiffs if ever we were unable to pay. But even if I had been forced to sell my house, I would still have had to buy another, whose 'market value' would have undergone a similar level of arti­ficially induced inflation. I would have gained nothing. The only gainer would have been the neuveau-riche invading commuter for whom it would have been conven­iently vacated. Hence, by default, house tax is an effective means by which an invading army of richer commuters ethnically cleanses a developing locality of its poorer original in­habitants. It simply drowns them in a rising tide of market value. Ethnic cleansing is not an exclusively foreign phenomenon. Here it is simply effected by a more under­handed and covert means. And the ethnic divide is not racial or religious but econ­omic. This so-called 'rebate' system cannot guarantee protection to the individual against being dangerously and critically over taxed. In all fairness it is nothing more than an inadequate crisis-initiated attempt to patch-up a fundamentally unworkable system of taxation. The intrinsic value of a house is a permanent or static quantity, like the distance be­tween two places or the potential energy of a system. Assuming a house is neither enhanced nor deteriorates, its intrinsic value does not vary with time. Its market value does go up and down - mostly up. However, this is usually, and for the most part, due to changes in the surrounding area and in the value of money. But even market value is essentially a static quantity. It simply expands and contracts like a balloon being alternately squeezed and released by market forces. House tax is different. It is a moving or dynamic quantity, like the speed with which one is travelling between two places or the kinetic energy of a system. It is not a measure of value, but of a rate of transfer of value. It is not money: it is a rate of flow of money. It is money per unit time. It is not £s: it is £s per week, per month or per year. The two things are as different as speed and distance. They are simply different. To levy a kinetic tax on static capital is mathematically unsound and sys­tematically dangerous. It is as nonsensical as giving the speed of your car in kilo­metres instead of kilometres per hour. Think of your capital as an amount of water in a tank. Part of this is fluid, but part of it is frozen. The fluid part is money. The frozen part is the market value of your house and your other permanent possessions like furniture. Think of your income as a steady flow of water coming in from a pipe above the tank. Imagine house tax as a leak through a hole in the side of the tank near the bottom. What you spend on living is the main out-flow at the very bottom. The rate at which house tax drains your capital is a function of the amount of capital in the tank at the time. While income is greater than or equal to what you spend on living + your house tax, your capital will not diminish. However, if your income falls below the sum of these two things, your house tax starts to eat away at your savings. This continues until your savings fall below the threshold at which you become exempt from having to pay house tax. The government considers this threshold mechanism to be adequate protection for the individual who may fall on hard times. But it isn't. Firstly, the threshold of minimum capital (or savings limit), at which house tax ex­emption kicks in, is far below what the individual needs to be able to function fully as a member of the society in which he lives. He becomes inadequately fed and clothed. His mobility is severely curtailed. His means of communication deteriorate. His contacts evaporate. He can therefore no longer carry on a business or seek work effectively. House tax has eaten away the capital he needs to fuel these basic processes, and hence his only means of replenishing it. He will gladly supply un­limited personal effort, but house tax has eaten away his only means of trans­forming it into wealth. He is like a fire which, though in the presence of unlimited fuel, has become too small to sustain its own combustion. Secondly, his safety from ruin depends on the proper functioning of the over-sim­plistic rules by which exemption is granted, and of the bureaucracy which expedites them. If, through a bureaucratic malfunction, exemption is not granted when it should be, house tax will first devour the remainder of the subject's savings and then proceed to devour his frozen assets. At first, he borrows liquid capital against his frozen capital to pay his house tax. This he will do in the hope that his fortune will change. But it can't: his only means of changing it has already been eaten away. Consequently he eventually has to realise his frozen capital by selling his home to pay off his borrowings. Applying a kinetic tax to a static quantity like capital creates a mechanism which, left to itself, will drain the substance of a personal, family or business economy to nothing. It turns a personal, family or business economy into a leaking bucket where the size of the leak is set by authorities who are unconcerned with whether or at what rate the bucket is being refilled. If nothing is refilling the bucket then that personal, family or business economy simply bleeds to death. The only thing which stops people being squeezed out of existence this way in most cases is the fort­uitous presence of a kinetic source of replenishment we call income. Where income is insufficient to replenish tax-on-capital, then tax-on-capital devours the capital it­self. The only fair way of taxing a static quantity is with a tax which is itself a static quantity: for example VAT which is levied once-only each time the capital value changes (which normally coincides with a change of ownership). Income tax and house tax, on the other hand, are not static quantities. They are not amounts of money: they are rates-of-flow of money. They are so much per week, per month, per year. They are time-related. They are first-order differentials with respect to time. They are kinetic quantities. But house tax is a kinetic tax levied on static capital. It does not even tax the in­dividual on the intrinsic value of what he owns, but on its extrinsic value determined by what the private, commercial and public community around him owns, and over which he has no control or influence. With tax, like everything else, you should match like with like. You must levy a kinetic tax like income tax only on a kinetic source of wealth like income. On static wealth, like capital or property, you should only levy static taxes, like VAT. disband local taxation altogether, raise national income tax and finance local authorities entirely from national funds. But in no circumstances, either by accident or design, should the possibility ever be able to arise, or be threatened, by which a family can be, by force of law, disposs­essed of its established home. Sovereign possession of this basic need of life must be an inviolable human right of every family. But inviolable human rights are a dream that can be realised only by the rich. So house tax remains. It is essentially unrelated to income. It is levied upon one's house irrespective of one's ability to pay it. To gain exemption, the onus is on the individual concerned to prove his inability to pay and his eligibility to what is currently termed 'council tax benefit'. Notwithstanding, there is another form of 'house tax' which, though again unrelated to the householder's income, makes no provision for the poor through any form of relief, benefit or exemption. Furthermore, it is a tax levied on the people not by an elected government, nor even a government quango, but by profit-making comm­ercial companies. It is the water rates. Water is essential to life. Throughout literature it is used as a synonym for life. Without it all would die. Yet the capitalist State levies upon it what must be the most unfair and oppressive form of taxation which could possibly be devised. In our modern highly administrated, technologically advanced, urbanised society, water - the most essential need of life - is no longer freely available. I am no longer allowed to sink a well in my garden. I am no longer permitted to drive a bore hole down to the water table beneath my home and erect a wind pump to bring it to the surface like the old homesteaders used to do. Even the rain is now unfit to drink. And besides, the water company is deemed to own any rain water I collect within my property. It is far too acidic and full of all manner of toxic impurities which it dis­solves on its way down through our polluted atmosphere. The only source of water available to the individual in a modern First World society is the pressurised pipe connected to his home. This supplies him with good purified water. It is a great technological advance from the dubious facilities of previous centuries. But at a fearsome price. legal proceedings are issued against him by the water company to recover the unpaid tax. Water companies are the only commercial (and hence unelected) entities who have, in effect, the power to levy a tax on every household in the country. Their prime allegiance is to the financial interests of their shareholders, not to the general public on whom they are empowered to levy the water rates. My water rates for 1999 were £304·30. At the moment it is a painful, though bear­able, expense. However, when my children leave home (which inevitably they will), and my wife has to go into hospital, which she does from time to time, I shall receive from the DSS a total welfare payment of less than £40 per week (1999 value). That is what 'the law says I need to live on' (and seek work) if I were living on my own. That is £2080 a year. Water - my most essential need of life - would then cost 14·6% of my entire income. If I lived in some parts of the West Country, they could easily be double this amount. I would have to give almost 30% of my entire income in order to get water - and in a country with a maritime climate with one of the highest and most consistent rainfalls in the world. This is real. The fact that the water tax algorithm permits it as a possibility is inexcusable. Water metering is on the horizon, but this does not excuse the past. That anybody should be forced to pay for water at all - ever - is to my mind a crime. It should be made available to all as a fundamental and ancient human right. Capitalism is what concentrates populations into tight masses in order to supply its factories and offices with human resources. This is why people can no longer get their water from natural sources at practically zero cost. It is therefore incumbent upon the capitalist to pay for the solution to the problem he has created. It is he who should pay for the purification and piping of water to his human resources just as he does to his industrial plant. There is no amnesty for people trapped in such hardship. Only help in budgeting and spreading payments, which does not solve or even ease the problem at all. Let us be thankful that the lap-dog governments of capitalism do not yet have a practicable means of measuring and taxing air. The tax system is a labyrinth of confusing demands, rates, thresholds, exemptions and exceptions. It is an unsystematic agglomeration of endless additions and am­endments. It is supposedly counterbalanced by an equally incomprehensible laby­rinth of so-called benefits for all manner of different things which those in need are expected to know how to claim. The entire 'system' does not seem ever to have been designed. Each element app­ears to have been put in place piecemeal as the result of pressure from this or that lobby group in direct proportion to parliamentary awareness of the problem it was created to solve. This is confusing. And not just for the taxpayer and the tax col­lector. The creators of the 'system' itself also get confused by it. This is evinced by the many logical inconsistencies between taxes and benefits. For instance, try claiming Disability Carer Allowance when you are on Jobseeker's Allowance. Such a confusing and unworkable system results in people becoming trapped bet­ween such logical incompatibilities, and thereby being forced dangerously close to starvation, to which my own tax figures bear stark witness. The present mess could so easily be replaced by a simple tax interface between the individual and the State. I once inadvertently designed one. I was writing a payroll program for a client in the late 1970s. I had completed the system apart from the small module which was to compute the amounts of income tax and national in­surance from each employee. To test the system as it stood, I coded up a little dummy tax routine, which com­prised the following steps. It took about as many lines of code as there are steps listed above. Over the range of pay most working people received, the exponential function was linear to within a few pence. It only began to curve up steeply at fat cat salary levels. In my program I did not check whether the taxable pay were positive or negative. Consequently, when it was negative, my little tax routine subtracted negative tax from the employee's gross pay. This had the effect of automatically topping up a low paid worker's wage to his needs threshold. In the context of my little dummy tax routine, a single tax replaced all other ele­ments of personal tax (including National Insurance). The objective was to keep the tax interface between individual and State as simple as possible. Whenever the government saw fit to change the rate of tax to raise or lower its revenue, all it had to do was to adjust one single solitary constant in the exponential function. No more tax bands. No confusing hierarchy of percentages. No more truckloads of tax tables. No more tax routines over 2 kilobytes. "But", exclaim the politicians and bureaucrats, "how could the idiot public ever pos­sibly understand their tax if it were worked out according to an exponential func­tion?" Very easily. The exponential function is the only perfectly fair way of com­puting tax. It allows no tax traps. It is also operating everywhere around us in nature. People see examples of it every day. It just needs explaining. And it would require far less explanation than is contained in the mountain of booklets and leaf­lets the government issues in its abortive attempt to explain the present tax system. It is the natural exponential constant. Its value is set by nature. k is an arbitrary constant of proportionality by which government can adjust the overall tax rate up or down. For an exponentially-based tax system to be truly fair, a person's income must be continually amortised over his entire working life to date. This is to take account of the possibility that his income could vary considerably from year to year. The trouble is that those in power do not seem to want to rationalise the present mess. Perhaps they want to keep it as an effective smoke screen to prevent the masses from seeing the extent to which they are actually being taxed and how little they are getting back through 'benefits'. All forms of taxation in the capitalist State share a common principle of default. When a rich man is taxed, the system tends to default in favour of the individual. When a poor man is taxed, the system tends to default in favour of the State. For example tax on bank account interest is automatically deducted on the assumption that the individual pays income tax at the standard rate. A poor man has to intervene in order to stop it being deducted. The burden of proof of his poverty is on him. With a rich man, the State must intervene in order to become permitted to take tax from his account at a higher than standard rate. The burden of proof that more tax is due is upon the State. The only exception is perhaps a thing called inheritance tax - or whatever politically expedient name it currently goes under. But this is only significant during those very short spans of time when a truly socialist government gets into power. There are two kinds of wealth. This gives rise to two kinds of tax. The first kind taxes the rich more than the poor. The second taxes the poor more than the rich. Capitalism generates disparity. That is its primary function and purpose. It takes wealth from the many and concentrates it into the hands of a favoured few. Left unchecked, the wealth differential between rich and poor would accelerate rapidly to the point of social collapse. The dealings between man and man would degen­erate into violence. Anarchy would reign. Some kind of negative feed-back is needed in order to maintain social stability. The kind of negative feed-back used is tax. Tax effects a partial redistribution of wealth back to the many. The extent to which it does so is large or small according to whether the government of the day leans more towards socialism or more towards capitalism. A socialist government purportedly tries to adjust the taxation rates to give everybody an income of dignity. A capitalist government tries to main­tain them at no more than a hair's breadth above the threshold at which the poor would launch into universal insurrection. There are two kinds of wealth. There is static wealth. And there is dynamic wealth. Static wealth is essentially capital. Dynamic wealth is what capital generates. Capital wealth is like a machine: consumable wealth is analogous to what that machine pro­duces. The machine is essentially permanent. It is solid. Its products are liquid. They circulate and re-cycle continually. The two things are fundamentally different. Strictly they should be measured in different units of measure or currency. The mechanisms of capitalism can only directly concentrate or polarise dynamic wealth - its liquid or re-cyclable products. However, because (quite erroneously) both static and dynamic wealth are reckoned in the same currency, they can be inter-converted. Inter-converting static and dynamic wealth is a systemic nonsense. Nonetheless, it is done. The upshot is that thereby, capitalism is able to concentrate static wealth also. To maintain socio-economic stability, it is vital to effect redistribution on both kinds of wealth. This necessitates two corresponding kinds of tax. Income tax and con­sumption tax are for the most part dynamic taxes. They tax dynamic wealth. 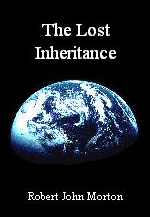 The main tax for redistributing static wealth - capital and land - is Inheritance Tax. This, in effect, partially redistributes to the many, the accumulated wealth of a member of the favoured few, at his death. This means that he can pass on only a part of his capital to his descendants. There is another kind of tax on capital called 'capital gains tax'. However, this confuses static (wealth generating) capital with stochastic accumulation of dynamic wealth. And, to my mind, it wreaks the kind of havoc one would expect from such confusion. Occasionally, when a socially-responsible government gets into power, inheritance tax is raised. This causes a small portion of the wealth a rich person leaves at his death to be confiscated by the State. However, as soon as a capitalist government is returned to power, it reduces - or even dismantles - inheritance tax. Inheritance tax normally only kicks in above a fairly high threshold. The middle-income majority is therefore generally unaffected by this kind of tax. If somebody in this sector of society inherits a share of the house and furniture of his parents, then that is all there is to it. Some austere socialist governments may levy some tax upon what they inherit, but this will generally be a very small fraction. For the very poor and the unemployed, the situation is, however, very different indeed. The law defines the amount that a poor person 'needs to live on'. If he has no income at all, then State welfare meets the whole of this need. However, if he already has a small income from another source, the amount of State welfare he is given is reduced so that it only just tops up his income to what 'the law says he needs to live on'. Capital in excess of £3,000 is deemed to give rise to an income. If he has between £3,000 and £8,000 of capital, the amount of State welfare he recei­ves diminishes from the full amount 'the law says he needs to live on', down to zero. Above £8,000, his capital is deemed to generate more than enough income for him to live on. The amount of income £8,000 is deemed to generate is about one thousand times what it would actually yield if I were to leave it sitting in my bank account. With careful investment I might squeeze out of it one hundredth of its deemed yield. The fact remains that it cannot possibly yield, within an order of magnitude, what it is deemed to yield. This means only one thing: the intent is that the poor person should live off their own capital until it drains down to £3,000 at which point full State welfare is reinstated. This means that if a poor person, entirely dependent on State welfare, inherits cash or kind to a value in excess of £8,000, he immediately loses his entire income. If I were to inherit £800,000 I would immediately start a successful business. I would have enough to live on (ie pay myself a proper salary) and to capitalise the business itself. If I were to inherit £80,000 I would have enough to live on for long enough to be able to find myself a good job. It would also finance the necessary facilities and travel I would need for this purpose. However, were I to inherit only £8,000 I could do nothing but live on it until it all drained away. It would be like a fire too small to support its own combustion. However much I inherited, I would have to be very careful how quickly I spent it. This is because if I should ever have to go back onto State welfare, having come off it because I had inherited capital, I would have to have lived off that capital in the mean time at a rate not exceeding that of State welfare. Were I to spend it too quickly I would be deemed to have "lived it up" on my capital on the assurance that I could fall back on State welfare after I had finished having my "good time". In this event, my State welfare would not be reinstated and I would end up destitute and homeless. Were I to inherit enough to guarantee that I would never again have to fall back on State welfare, the above would not matter. However, should there be any chance that my capital and efforts would not ignite a successful business or guarantee me a permanent job, I could not risk spending it faster than the rate of State welfare. Nevertheless, to launch a business, or to embark on a viable work-search prog­ramme, it would be necessary to spend my capital at a rate at least 5 times State welfare. With £800,000 I would take the risk. With £80,000 I would take the risk. With only £8,000, taking such a risk would be stupid. Anywhere below £30,000 it would not be workable. This means that with less than about £40,000 of inherited capital, all one can do is live on it at a rate of spending equal to State welfare until it is all gone. Then sign on again. The purpose of this mechanism is clearly to keep the poor locked into poverty as a witness to those in work so that they will work all the more willingly for all the less reward. A small proportion of the inheritance of the rich is confiscated by the State in order to prevent the excessive polarisation of capital wealth. Little if any is confiscated from the middle majority. However, the inheritance of the poor is confiscated in total. A poor man thus in no way benefits from his inheritance. It simply saves the State exchequer the need to pay him his minuscule amount of welfare for a while. It means, in effect, that those who have least are taxed the most. The inheritance of the poor is taxed at 100%. But of course, this is not called, or thought of, as in­heritance tax. In the early 1990s, the Prime Minister, John Major, gave a speech which, rightly or wrongly, came across to me as follows. He proposed to abolish Inheritance Tax. This was to help fulfil his personal vision of a society with "wealth cascading down thro­ugh the generations". In the absence of any other agent of capital redistribution, wealth would indeed then cascade down the generations - into ever increasing con­centrations down fewer and fewer family lines; his own included, no doubt. A major aid to the further polarisation of wealth and opportunity. There is nothing to stop a government of the future implementing what I perceive him to have proposed. There was once a perfectly fair, simple and systematic way of redistributing capital. But it did not indulge the greed of the mighty. So it was abandoned. The result of all this is that the poor are taxed at every pinch-point within the econ­omic system. The State takes tax from the poor, which it should not. It fails to take tax from the rich on occasions when, according to its own law, it should. It thus makes comfort and well-being for the rich an assured reality, while the adequate level of subsist­ence which the rich assume it allows to the poor remains a precarious theory. The capitalist State sets its tax thresholds and rate bands always to force the middling majority to be the main contributors to State revenue. They are indoctr­inated to blame the welfare paid to the poor and unemployed for their high taxes. They bow to the rich and powerful and revile the poor and weak. But that is to be expected. It's what cowards always do.